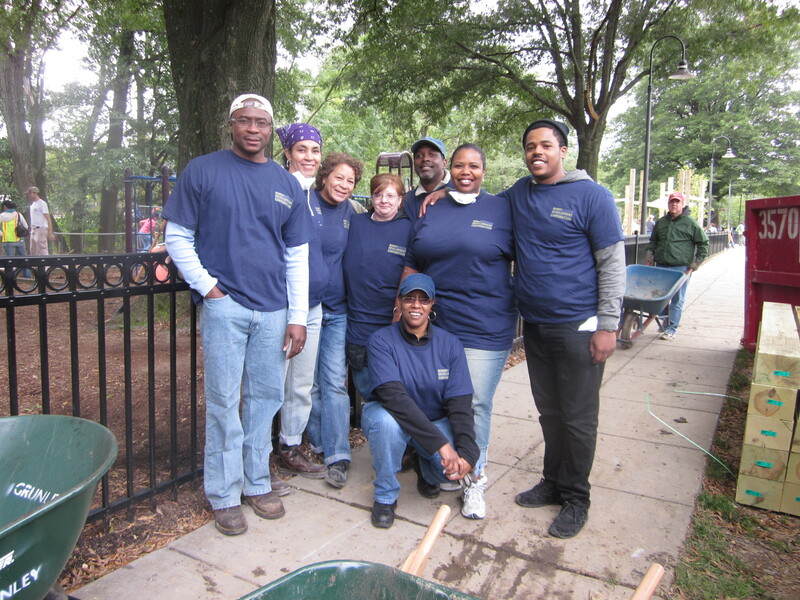 Each year the District of Columbia Building Industry Association (DCBIA) organizes a Community Improvement Day where area businesses come together to plant trees, build playground equipment, paint and do a variety of other repair and renovation work. This year the site was the Marvin Gaye Recreation Center in Southeast, DC. The entire BDC Team was on hand for the repairing, painting and planting and helped to spruce up the neighborhood center.